Mariachi music has a long history, dating back to 18th century Mexico. How do you get the younger generation interested in this old tradition of guitar strumming, violin playing and passionate singing? We checked out a mariachi summer camp for middle and high school kids at the University of North Texas at Denton. Listen to students playing mariachi music on the KERA radio story. Inside a college classroom, 20 or so students sit in a semicircle listening to Jose Hernandez, founder of the Grammy-nominated Mariachi Sol de Mexico. He tells them about his childhood singing idol – Michael Jackson. Everything Jackson sang, Hernandez sang, too. But nothing compared to his love for mariachi music. Hernandez comes from a long line of mariachis – six generations actually. Before his father – a violinist and singer – died, he promised him he’d start a foundation to teach the music to underserved children. He did. Established in 1991, the Mariachi Heritage Society offers free and low-cost classes to kids ages 7 to 18. This week, Hernandez is sharing his knowledge with 70 teens and pre-teens who are staying in the dorms at UNT. That’s songs of love and heartbreak. Michelle Quintero, a mariachi voice instructor at Texas State University tells students that even if they haven’t experienced what the song’s describing, they need to paint a picture in their head, find a way to relate. A singer, she said, interprets the song. For 17 year-old Seth Bullis, that doesn’t seem to be a problem. The R. L. Turner High School student plays trumpet and has attended the camp for six years. He said he doesn't know Spanish, but he still gets a lot out of the music. The camp is a mix of boys and girls, more boys than girls. In recent years, the number of girls joining or forming mariachi bands has increased, Hernandez said. In 1994, he formed what he said is the first all-female ensemble Mariachi Reyna de Los Angeles. Valeria Ibarra, who’s 17, and also plays trumpet, said she likes the fact that more girls are learning how to play this kind of music and wants to continue playing for a long time. Donna Emmanuel, music education professor at UNT, says many of the campers come from families where no one has attended college. The goal is to get them interested in something they can relate to and keep them interested. Emmanuel said the students enjoy it so much, many stay up playing late into the night during impromptu jam sessions. Wednesday night, they played Radiohead's "Creep." Students will perform a song with the professional band Mariachi Sol de Mexico during a concert Saturday night at 7 p.m. in the UNT Murchison Performing Arts Center. For ticket information, call the box office at 940-369-7802 or visit the center's website. Denton-based Mariachi Quetzal will open the concert with a performance. A free, public concert will take place at 1:30 p.m. Saturday at the same location. Here's Mariachi Sol de Mexico playing "El Rey de La Huasteca." 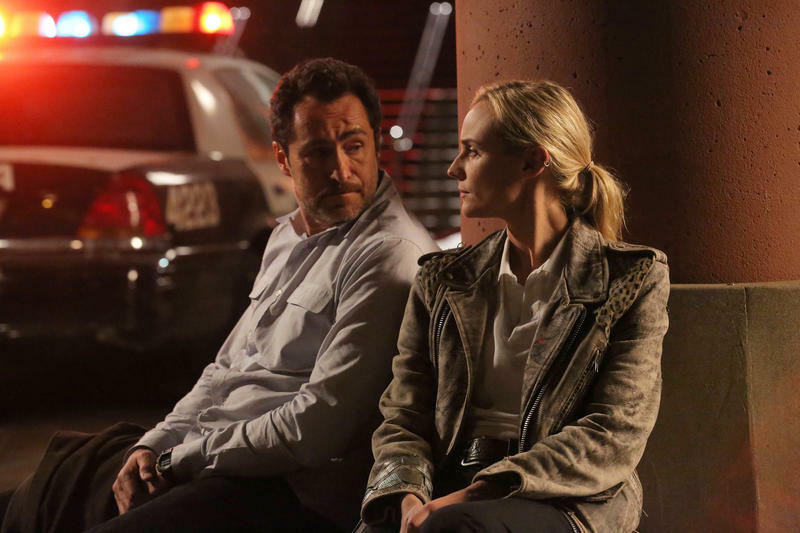 The U.S.-Mexico border plays a starring role in the new FX series The Bridge. Characters in the television crime drama, which premieres Wednesday night, regularly cross back and forth through the border between El Paso, Texas, and Ciudad Juárez, Mexico. The show's dialogue also frequently switches between English and Spanish, setting a new standard for bilingual drama on American television. 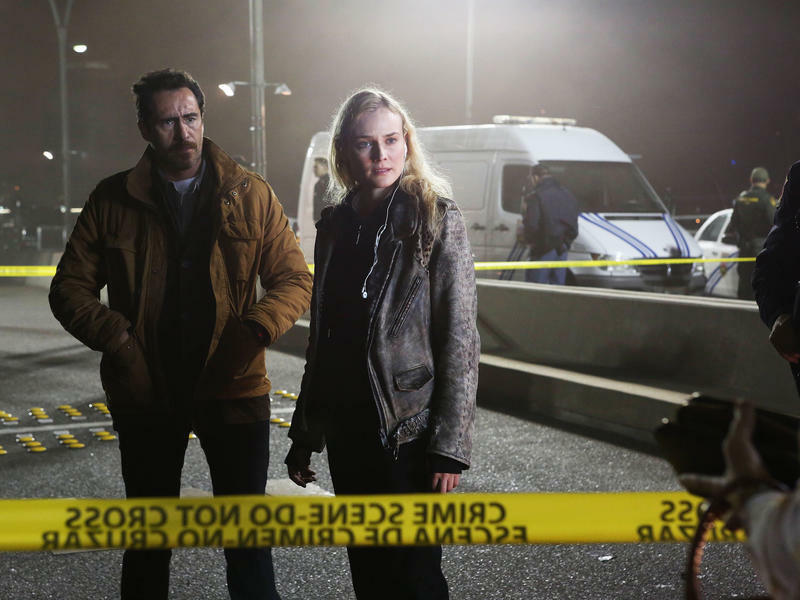 The new FX series The Bridge begins with the discovery of a body on a bridge that connects El Paso, Texas, and Juarez, Mexico. In it, a Mexican detective, played by Mexican actor Demian Bichir, has to work with an El Paso homicide cop to solve what turns out to be a serial murder case. 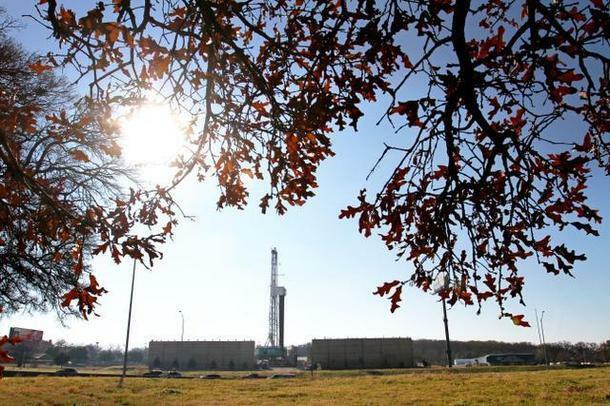 The city of Denton could take another step Tuesday toward becoming the only Texas city to permanently ban hydraulic fracturing, or fracking.